While on a trip to India, Nikita, a Girl Scout Ambassador from Westford, noticed high rates of blindness among children. Although institutions take care of these children, many lacked knowledge about proper dental care. Nikita reached out to a dental school in India, connecting with dentists and dental students to help with her project. 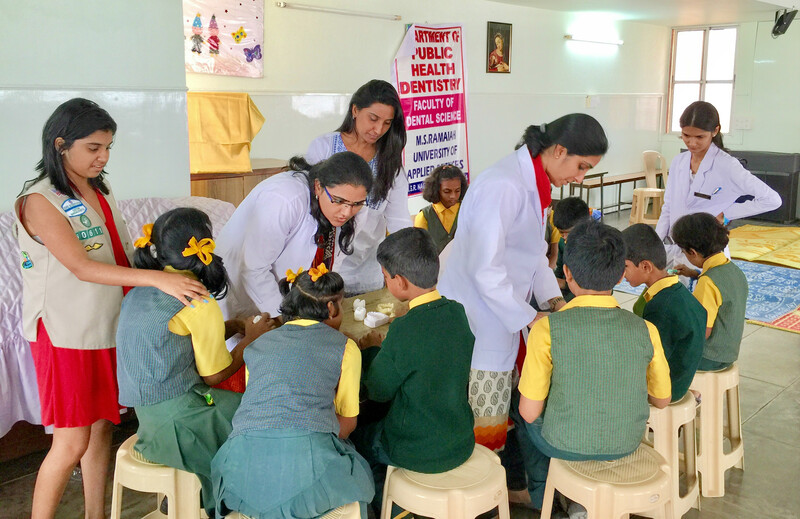 The volunteers taught dental care through individual hand-over-hand coaching sessions with the children, helping them smell and feel unclean teeth with their tongues and fingers. The dentists will continue to make regular visits to continue this initiative in providing regular care and learning workshops. Nikita created a documentary about her project to engage other volunteers, which she posted to YouTube and was streamed on a local television channel. We are so inspired by Nikita’s global service! Great job!That really nice to serve the need.Service to humanity is service to God.